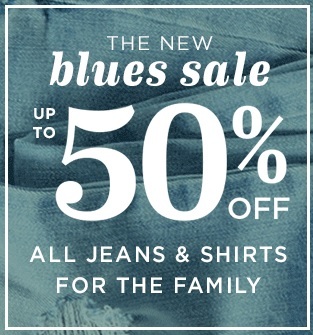 All jeans and all shirts for the family are on Sale at U.S. Old Navy stores. Possible to receive discount up to 50% off original retail prices. Source of the information is Old Navy. More information about the Blue Sale available at U.S. stores.